Categories: C, Taj Brands. Tags: C, Citrobacter, Enterobacter, Pseudomonas aeruginosa, Serratia. The combination of Sulbactum and Cefoperazone is active against all organisms sensitive to cefoperazone. In addition, it demonstrates synergistic activity (up to 4-fold reduction in the minimum inhibitory concentrations for the combination versus those for each component) in a variety of organisms. Because of the broad spectrum of activity of Sulbactum/ Cefoperazone, most infections can be treated adequately with this antibiotic combination alone. However, CEFOZONEmay also be used concomitantly with other antibiotics if such combinations are indicated. If an aminoglycoside is used, renal function should be monitored during the course of therapy. 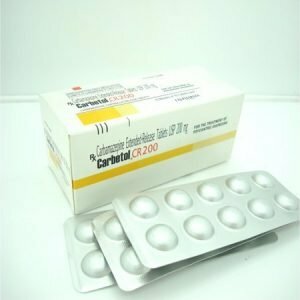 It is contraindicated in patients with a known allergy to penicillins, sulbactam, cefoperazone, or any of the cephalosporins. Serious and occasionally fatal hypersensitivity (anaphylactic) reactions have been reported in patients receiving beta-lactam or cephalosporin therapy. These reactions are more apt to occur in individuals with a history of hypersensitivity reactions to multiple allergens. If an allergic reaction occurs, the drug should be discontinued and the appropriate therapy instituted. As with other antibiotics, overgrowth of non-susceptible organisms may occur during the prolonged use of CEFOZONE. It has not been extensively studied in premature infants or neonates. Therefore, in treating premature infants and neonates, the potential benefits and possible risks involved should be considered before instituting therapy. parenterally, solutions containing ethanol should be avoided. In severe hepatic dysfunction, therapeutic concentrations of Cefoperazone are obtained in the bile and only a 2-to 4-fold increase in the half-life is seen. Dose modification may be necessary in case of severe biliary obstruction, severe hepatic disease or in case of renal dysfunction coexistent with either of those conditions. There are no adequate and well-controlled studies in pregnant women. Because animal reproduction studies are not always predictive of human response, this drug should be used during pregnancy only if clearly needed. Caution should be exercised when CEFOZONE is administered to a nursing mother. The usual adult dose of the combination is 2 to 4 g/day (i.e, 1-2 g/day each of Cefoperazone and Sulbactam) given IV or IM in equally divided doses every 12 hours. In severe or refractory infections the daily dosage may be increased to 8g (i.e, 4g/day each of Cefoperazone and Sulbactam) given IV in equally divided doses every 12 hours. 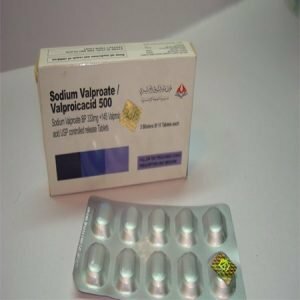 The recommended maximum daily dosage of Sulbactam is 4g (8g of the combination). The usual dosage in children is 40-80mg/kg/day (20 to 40 mg/kg/day each of Cefoperazone and Sulbactam) every six to twelve hours. In serious or refractory infections, these dosages may be increased up to 240mg/kg/day (160 mg/kg/day cefoperazone activity). Doses should be administered in two to four equally divided doses. For intravenous infusion, each vial of CEFOZONE should be reconstituted with the appropriate amount of 5% Dextrose, 0.9% Sodium Chloride Injection or Sterile Water for Injection, then further diluted to 20 mL with the same solution, and followed by administration over 15 to 60 minutes. Lactated Ringer’s Solution is a suitable vehicle for intravenous infusion, but it is not, however, for initial reconstitution. For intravenous injection, each vial should be reconstituted as above and administered over a minimum of 3 minutes. Do not use CEFOZONE after the expiry date which is stated on the carton and on the vial label. The expiry date refers to the last day of that month. Reconstituted solution is stable for 7 days at 2-8°C and for 24 hours at 8-25°C. For single use only, Discard any unused contents. Do not use CEFOZONE if you notice signs of deterioration. CEFOZONE is a dry powder for solution for injection.